Our visit to Montreal was built around a desire to understand the city’s uniquely federated Social and Solidarity Economy (SSE) sector. As the lone francophone province in the country, the Quebecois state’s interest in growing as a provincial economic power, coupled with a civil society more comfortable with an interventionist state, created conditions that would allow the SSE to flourish over the last hundred years in ways we do not see elsewhere on the continent. Beginning with the Desjardins credit union movement and the establishment of large agricultural cooperatives in the early 20th century, through the founding of the Conseil supérieur de la coopération (CSC) in 1938, and the resurgence of the SSE movement through the Quiet Revolution of the 1960’s and the women’s movement of the 1970’s, the SSE sector has benefited from over a hundred years of significant political and social support. Most significantly, when the Parti Quebecois came into power in the 1970’s, the government began passing cooperative-friendly legislation, building cooperative-serving institutions, and channeling funds into cooperative development through local CDR’s (regional networks that offer technical assistance and incubation solely to cooperative firms), CDEC’s (non profit associations that serve urban areas across the province, and include cooperative support services among their offerings), and CLD’s (non profit associations similar to CDEC’s, focused on serving rural areas), leading to the healthy cooperative ecosystem we see today. As a result of this unique history, today in Montreal, the social economy represents over 60,000 jobs, 3,500 institutions, and generates revenues of two billion dollars. Le Chantier de l’Economie Sociale (Chantier): A network of networks comprised of regional and sectoral SSE organizations that include multi-stakeholder cooperatives, associations, and democratically managed non-profits. Chantier also manages several financial organizations/lending platforms for SSE enterprises. During our visit we had the opportunity to speak with President/CEO Nancy Neamtan, as well as Beatrice Alain, Project Manager for International Affairs, Genvieve Huot, Coordinator of Research at Training at Chantier, and Jacques Charest, Director of the Fiducie du Chantier de l’économie sociale (or “The Trust”). Our visit to Montreal focused heavily on interviewing and understanding this organization, particularly because it has been successful at integrating several diverse stakeholders into a common solidarity economy agenda. Koumbit: A multistakeholder IT co-op founded in 2004, where their members not only include the workers at the coop, but their clientele. Koumbit provides web services (design, development, hosting, etc). These services are primarily open-source, copylefted, and/or free software which allies to their three core values of horizontality, freedom, and solidarity. Cafe L’Artere: Another multi-stakeholder (“solidarity”) cooperative cafe and event space. The cafe is owned and managed by its workers, as well as sustained by membership from the neighborhood, the patrons, and artists who use the space. Each type of member has the ability to participate and vote in the Annual General Meetings and participate in the larger governance. Rebekah Hart: A drama therapist and facilitator at The Work that Reconnects. 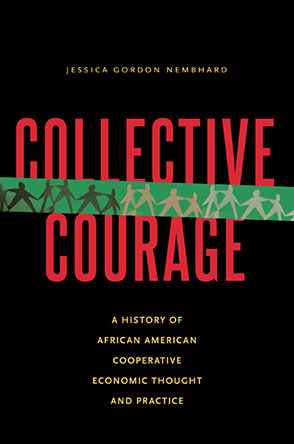 Our conversations with Hart centered around the embodiment of social justice work, and negotiating the prefigurative and ‘actions’-based spectrum of justice work. We also had the opportunity to meet informally with several activists courtesy of cooperator Dru Oja Jay. Our conversations with them helped inform our understanding of both regional and oppositional SE organizing in Montreal and the ways in which Chantier has been both embraced and critiqued by activists. After three days of meetings, tours and conversations with folks representing incredible diversity within the movement, the #solidaritycities crew returned to NYC with many insights to share and apply to our work at home. We were inspired to learn about the growing prevalence in Quebec of “solidarity co-ops”—enterprises that are owned and governed not solely by workers, consumers, or member businesses, but a combination of stakeholders. We learned that in Quebec, solidarity coops are growing the fastest—particularly when stores are closing, and customers, workers, and local businesses rally to keep the business open. Solidarity co-ops exist in a range of sectors across Quebec. While they are especially prevalent in social service fields, such as home care, they are also found in a number of other sectors, including in arts and cultural fields. While in the U.S. solidarity co-ops (which we generally call ‘multi-stakeholder’ or ‘hybrid’ co-ops) are relatively infrequent, we are seeing increasing interest and experimentation with them, and examples from Montreal may provide inspiration. The two solidarity co-ops we visited in Montreal—Koumbit, an open-source technology firm, and Café L’Artere, a café and performance space—both provide us with clear examples of how a cooperative business can be designed to reflect the unique needs and possibilities within a specific neighborhood and/or industry. Respondents from both the Chantier and in co-ops seemed to see solidarity co-ops as exemplary; a standard of “innovation” for Chantier and the standard of “radical” for the solidarity co-op folks themselves. Still, many solidarity co-ops do not fit easily into existing sectoral networks, and therefore do not have any formal association with Chantier. (A notable exception is the day care co-operatives, which are jointly owned by day care workers and parents, and have their own network.) One could imagine a similar conundrum for the new hybrid co-ops in the U.S.: for example a hybrid worker-consumer food co-op must choose whether to participate in the worker co-op networks, the food co-op networks (where most food co-ops are owned only by consumers), or both. The positive side to this may be that solidarity, or hybrid, co-ops are exceptionally well poised to help strengthen cross-sector collaboration because their work itself cuts across these silos. Our lessons around networks and infrastructure were significant, given the Chantier’s nearly twenty year history of supporting the SSE in Quebec. The Chantier was formed from an exploratory working group in 1996 that was charged with evaluating social and solidarity economy initiatives in the province. Since then, it has grown into an organization that maintains a dialogue between the municipal government and SSE enterprises and promotes and supports the large sector. Chantier’s membership is networked both regionally and sectorally within the multi-scalar SSE ecosystem of Quebec. Knowing this, it is important for the organization to have a clear understanding of the larger space in which it operates, as well as what other organizations are better positioned to achieve. For instance, Chantier staff does not work to help entrepreneurs start cooperative businesses or collective non-profits. CDRs and CLDs which are both locally and sectorally situated are better poised to take on the roles of business development that an apex organization cannot (and should not, necessarily) hold. This gives us cause to consider the kinds of work of similar networks throughout New York City. Identifying, and working in relationship with smaller regional and sectoral organizations is not only an effective delegation and organizing strategy, it could reduce the amount of duplicative work that occurs in SE movement building. Chantier maintains a partnership with the provincial government which has not threatened its ability to operate autonomously. Neamtan maintains that Chantier’s work is “too innovative to give over to the government”—so there isn’t a worry that the work will be co-opted or subsumed by a state-led SSE agenda. Instead Chantier engages the state in concentrated areas of fiscal support, never conceding full control of either their organizing or funding to the state. This is a particularly relevant example as New York’s City Council committed $1.2 million of their 2014 budget, and now $2.1 million of their 2015 budget, to support worker cooperative development. It is important that like Chantier, cooperative practitioners and their support networks truly own the vision of their work entirely as well as ensure that the successes of their government partnerships can serve as evidence for ongoing support in the future. Also central to the funding strategy for the sector is the ecosystem approach. Government has been an important source of financing for co-ops – for example the provincial government funds co-ops through the local CDR’s - but not the only one. Cooperative federations and labor union pension funds have in many ways been more significant and reliable as sources of financing, helping the cooperative movement grow even before government funding became a key player. The Cooperatives Act includes a provision that upon dissolution, all cooperatives must give their indivisible reserves to one of the cooperative federations to be reinvested into co-op development. This allows the success of individual cooperatives to be translated into the growth of the cooperative movement as a whole. In addition, there are seven other independent loan funds that have been capitalized through a combination of labor union pensions, credit unions, and government funding. These loan funds work together to co-invest in projects, and have been developed to share risks and work strategically in tandem to ensure the healthy growth of the sector. The diversity of funding sources for co-operatives has not only helped ensure that co-ops have access to sufficient and appropriate financing, but has also been critical for the autonomy of the cooperative movement. The newest organization in the ecosystem, the Fiducie du Chantier de l’économie sociale (or “the Trust”) was specifically developed to provide “patient capital”—capital that can be paid back last, after all other debts have been settled, up to 15 years after the initial investment. The finance network also collaborates through an organization called CAP Finance, through which the different groups strategize and share best practices, and RISQ (Réseau d’investissment social du Quebec) has put together a guide, based on their own experiences, that serves as a rubric for their investment decisions. This ecosystem approach has had a significant impact on the ability of cooperatives to access needed capital at all stages of development, and cooperation between loan funds (in sharing best practices and expertise) has been critical in helping them develop financial products specifically tailored to the needs of cooperatives. Finally, a key lesson from Chantier is the importance of not funding your own members. While Chantier has developed affiliate organizations that allocate funds, such as the Trust, the membership organization does not itself provide any funding. This allows for the networking and political advocacy work, which is core to the organization’s mission, to be unsullied by competition between members. This holds lessons as much for governance/structures as for the orientation and priorities of individual organizers. In other words, judging from Neamtan’s experience as an organizer of Chantier, a huge amount of time and effort needs to be spent, on the part of the networks coordinators and organizers, on communication and deliberation with network members. It is important to note that in the Chantier model, this was taken on by paid staff. In NYC, a key question for us is how much more difficult this would be if there were no paid coordinator/facilitator to sustain collective governance. Making the effort to show up to meetings, events, actions held by organizations that are doing similar work but with differing analyses is incredibly crucial. Not unlike New York, Chantier wrestled with relating itself to sectors that did not use the SSE language. It took fifteen years of relationship building between Chantier and First Nations groups to achieve First Nation representation in Chantier’s leadership, even though these organizations were engaged in similar work. Despite this difficulty, both parties have been able to come together and hold conversations about their common ground. There’s a great diversity of groups in New York City whose work aligns with Solidarity Economy principles. Something to consider from Chantier’s example is that the task isn’t so much to coerce advocacy organizations to adopt ‘our’ language and positionality—especially if working towards a Solidarity Economy isn’t their explicit goal—as it is to integrate multiple stakeholders and perspectives into the leadership of the apex organization, and to support each other’s work throughout the organizing process. We’re left with the question of how Chantier maintains, if at all, the democratic integrity of its membership. The organization goes through great lengths to ensure member representation in its governance. However, the membership only self-reports their ‘democratic’ structure. Beyond this, it’s unclear how Chantier can or should offer support/training to encourage democratic participation of its members. One of its great strengths as mentioned, is the organization’s ability to recognize which gaps to fill, and where to step back. Can we use the same analysis in how we approach the internal structure of a membership? Rather than restating the perpetual question of ‘how to scale democracy’, we are asking what role can and should be played by an apex organization to ensure democratic participation within its membership beyond its own governance? How integral is that role to building a large-scale SSE network? One lasting question we have is how the SSE movement sees itself—especially how those relationships are articulated between an apex organization like Chantier, and other SSE advocates. While similar to the takeway above with regards to engaging with movement organizations that aren’t explicitly SSE, the question of ‘seeing each other’ is grounded exclusively in the SSE space itself. Our conversations with SE organizers who were not Chantier members and worker-owners from L’Artere revealed a disconnect between how Chantier views itself/its functions and how it is perceived by the SSE ecosystem. For example, L’Artere benefitted from a loan from RISQ, a fund that is supported by Chantier—without knowing what Chantier does in the SSE space. Similarly, while the organizers we met with spoke positively about the subsidized day care in Quebec (the government offers subsidies to day care centers that are cooperatively managed, so parents only pay $7.00 a day to have their child enrolled), there was a disconnect in how they regarded Chantier, who along with its federated members was instrumental in pushing for that legislation. We were left with the impression that Chantier was regarded as another cooperative federation that does not encourage grassroots SSE organizing. There seems to be a schism in how the work of Chantier, as well as its place within the SSE movement in Quebec, is communicated and to whom. For practitioners like L’Artere, Chantier doesn’t exist, yet the co-op benefited materially from their being in the space. For organizers like the ones we met, Chantier may very much be a presence but does not necessarily contribute to movement building work organizers might participate in. We know that the apex organization does in fact participate in SSE movement building because it provides the means in which SSE enterprises can be supported materially and legislatively. However, material support is not the sole purpose of movement building, even as it enables SSE businesses to thrive. The divide between how Chantier presents and is presented, makes one wonder how critical it is for an apex organization to not only articulate its role to its membership, but its role to the larger solidarity ecosystem that it participates in. How can an apex organization better ensure that its work is recognized and legible to both organizers and practitioners on even scales?